With high-res photos, games, chat and more, now you can get the best of Facebook—on your iPad. Facebook for iPhone lets you stay connected and share with friends on the go. Start a chat, keep up with friends’ photos and status updates, look up a phone number, upload photos to Facebook and more—right from your iPhone. 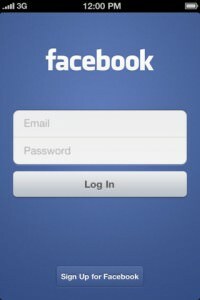 With improved search and browsing, the facebook.com features you use most are now just a touch away. It’s a faster, fuller Facebook for iPhone.